April 17, 2019 & filed under News Release. May 18, 2018 & filed under News Release. March 18, 2018 & filed under How to Build a Racehorse. February 5, 2018 & filed under How to Build a Racehorse. 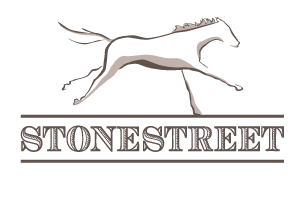 Happy Holidays from Stonestreet Farm! December 19, 2017 & filed under Uncategorized. December 5, 2017 & filed under News Release. November 28, 2017 & filed under News Release. September 21, 2017 & filed under How to Build a Racehorse. May 16, 2017 & filed under News Release, Uncategorized. April 2, 2017 & filed under News Release.